RJE Business Interiors: RJE: How Do We Do It? RJE: How Do We Do It? Award-Winning Giving, How Do They Do It? RJE's very own Denny Sponsel was highlighted this week on the United Way website sharing his secrets to successfully getting our entire company involved in community service and giving back. 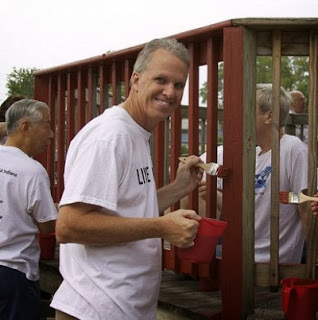 This year marks the 10th consecutive year that RJE has had 100% employee participation in the United Way Campaign. Want to know how we do it? Read the secrets to our success here!